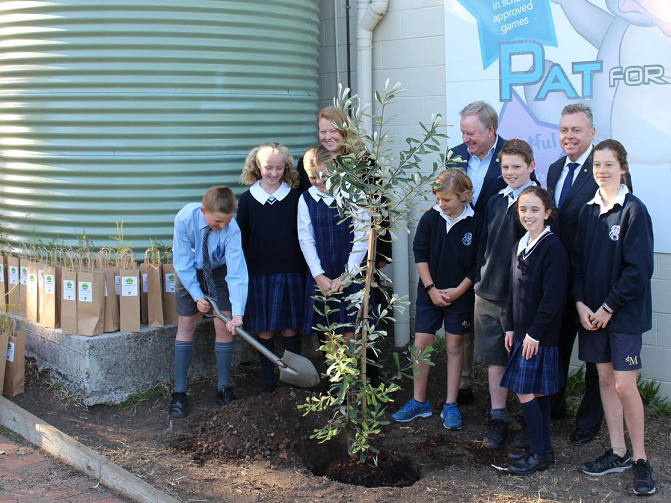 “The NSW Government is committed to planting 5 million trees across Sydney by 2030, making the city a greener and greater place to live, but we can’t do it alone,” says Roberts. The 5 Million Tree initiative, which will see more than 380,000 trees planted every year until 2030, was launched in April this year and is supported by an initial $37.5 million in funding over four years. “We’ve already had nearly 20,000 trees planted and registered across the city in just under four months,” says Roberts. The $37.5 million will be provided through an annual grants program that will assist tree planting initiatives across Greater Sydney. Fiona Morrison, commissioner of Open Space and Parklands says trees provide so many benefits beyond the area they are planted. “Planting more trees will contribute to the lowering of urban heat in Sydney and improve the environment. It’ll improve our biodiversity habitats for animals and provide much-needed shade for our streets and homes,” she says. Roberts says the NSW Government is also greening Sydney and reducing the heat island effect through its Greenfield Housing Code. The recently introduced Greenfield Housing Code will allow one and two storey homes, renovations and extensions to be carried out under a fast-track complying development approval, saving homeowners up to $15,000. “To launch the code, we are giving away 15,000 trees to people who are branching out and building homes in new land release areas in Western Sydney,” says Roberts. “Eligible households will receive a $40.00 voucher to be used at Bunnings Warehouse stores, to purchase either three native trees in 200mm pots or one native tree in a 300mm pot,” he says.